San Juan was our sixth and final stop on our Southern Caribbean cruise. 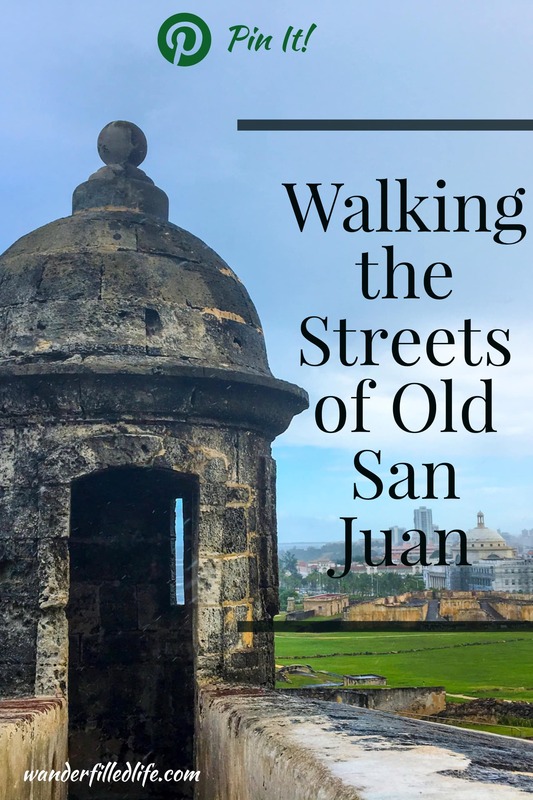 Since neither of us had spent any time to speak of in San Juan, we made a point to spend an extra night in San Juan following the end of the cruise. 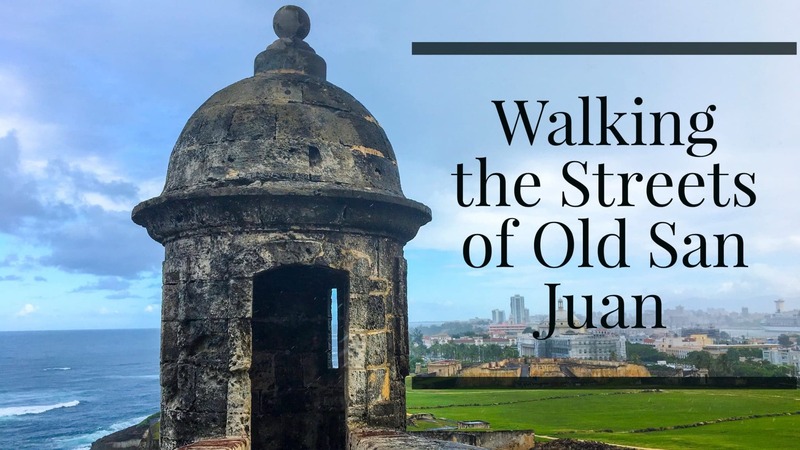 We throughly enjoyed the history of Old San Juan, not to mention the great food. It did not take long to get to Old Town from the docks, requiring only a brief cab ride. As anyone who has cruised can tell you, cruise lines are experts in moving large numbers of people quickly. Our disembarkation off the Adventure of the Seas was fairly painless and the folks on the ship did a good job of metering people so as not to back up the immigration and customs lines. Pro Tip: while you can purchase airport or hotel transfers through the cruise line, the taxi service in Puerto Rico is both straight-forward and price-fixed. We saved a good bit of money by just getting a taxi. 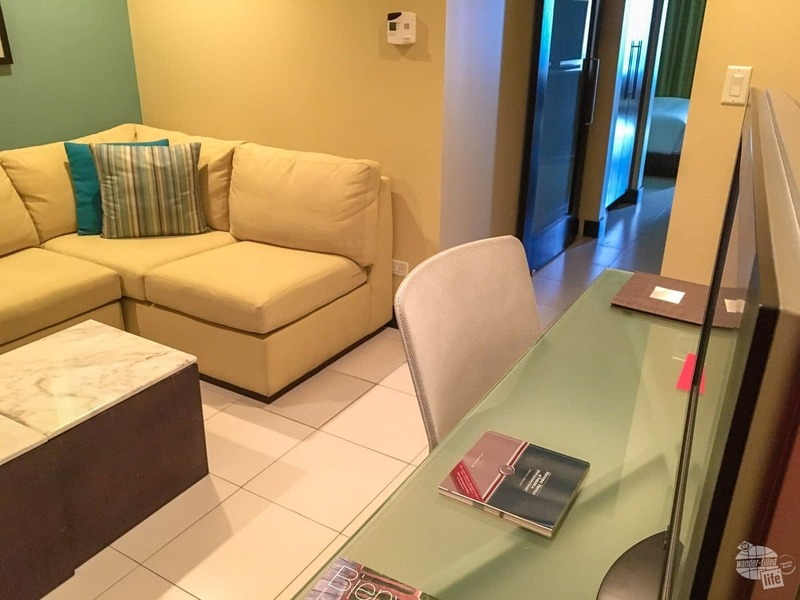 We took a taxi to our hotel, the Condado Plaza Hilton. The drive from the docks was a bit less than a mile, but I wouldn’t try to walk it, especially with wheeled luggage. There aren’t a lot in the way of sidewalks getting there. We were upgraded to a suite at the Hilton Condado Plaza, affording us a sitting room and a balcony. We found the hotel fantastic. The location is great. We were able to check in early, despite Citi SNAFUs. They did not have Puerto Rico has a country we were traveling to, despite the fact it is actually a territory of the United States. It took a couple of calls to get squared away. Pro Tip: Be prepared to call Citi if you are traveling to more than five countries. Yet another great reason to have more than one card with you when you travel. Our upgrade got us a balcony with a pretty good view. We met our spend on the Citi Hilton Honors Reserve Visa and Hilton upgraded us to Diamond status. 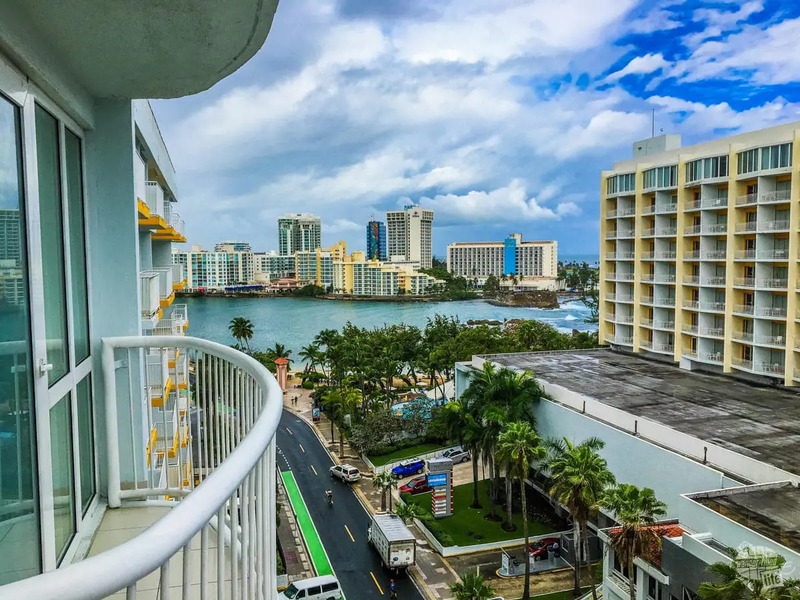 The Condado Plaza Hilton upgraded us to a balcony room with a pretty good view. 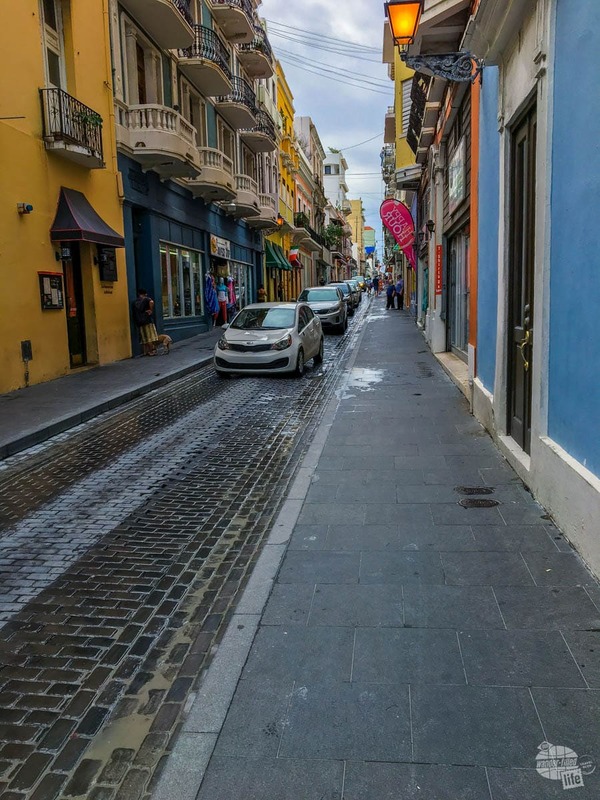 The streets of old town San Juan were fairly pedestrian-friendly and we had no difficulties walking from our hotel to Old Town. We settled in at the hotel and grabbed our daypacks and walked into the Old Town San Juan for lunch. It was only 2.5 miles away, so nice little stretch of the legs. The walk was really quite pleasant. It was Saturday following Thanksgiving and there was not a lot of traffic on the roads. 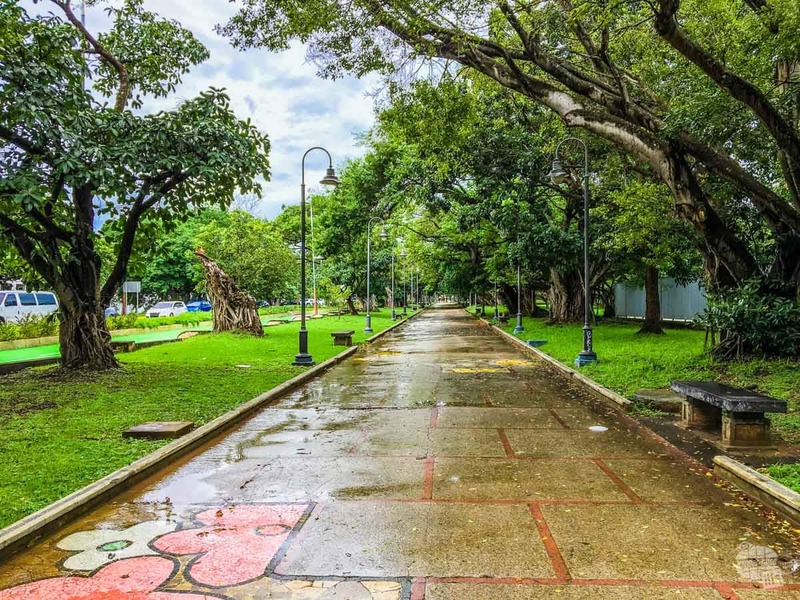 We strolled along the Avienda de la Constitucion, walked by the capital of Puerto Rico, the Spanish House, past the Plaza Colon and into Old San Juan. Old San Juan is a jumble of narrow streets amidst shops and restaurants. 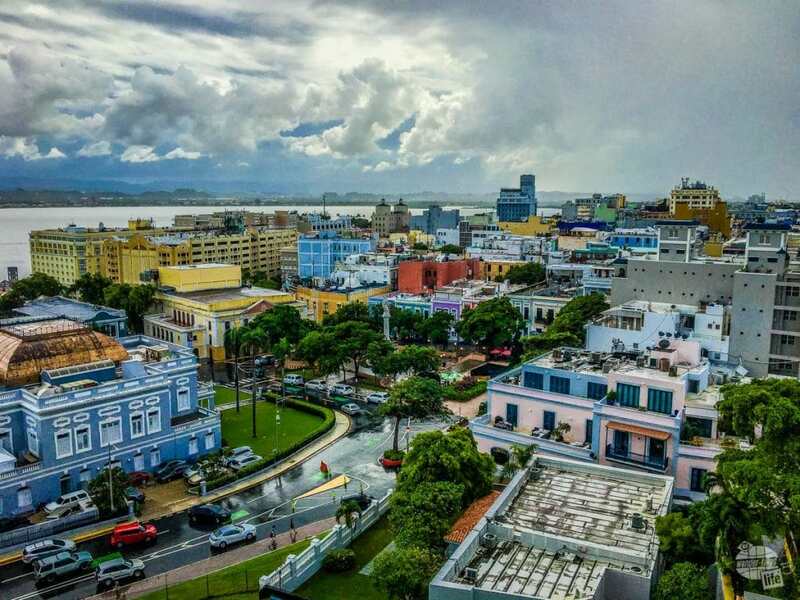 The best way I can explain Old San Juan is a bit of the Old World in the New World. There are narrow one-way cobblestone streets, shops, restaurants and just a lot of charm. 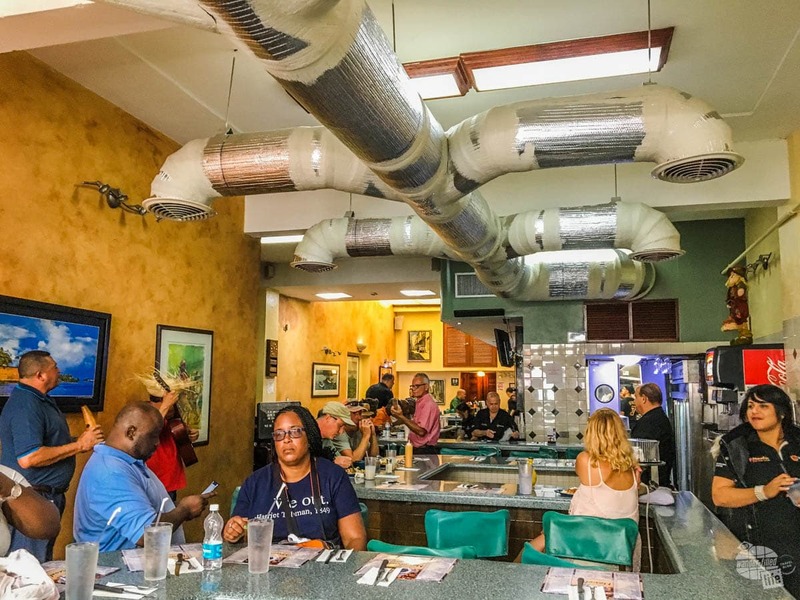 Cafe Manolin in Old San Juan has a great lunch service and serves authentic Puerto Rican food. For lunch, we stopped at Cafe Manolin Old San Juan. 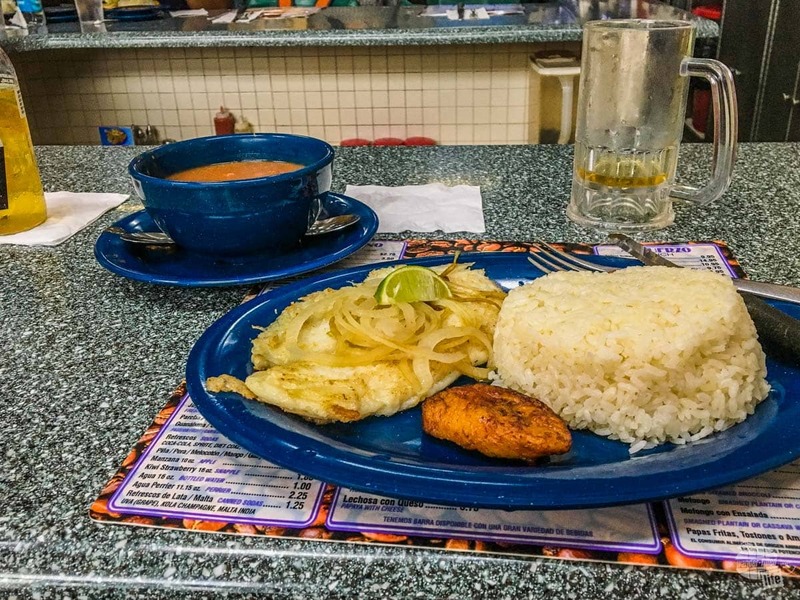 A staple of Old San Juan for 70 years, the diner served authentic Puerto Rican food. We had onion steak and grouper fillets, both very hearty and tasty, for easily about $30 for the two of us. The restaurant really impressed us and we would recommend it to anyone looking for a good lunch in Old San Juan. The food a Cafe Manolin was outstanding and quite afffordable as well. This grouper dish was quite tasty and less than $15. Our primary destination for this day trip to Old San Juan was San Juan National Historic Site. We are Park People, so whenever we have the chance to visit a National Parks site, we make a point to do it. We visited the Castillo San Cristobal. one of two Spanish colonial forts on Old San Juan. The Spanish spent 150 years building Castillo San Cristobal. It was the largest European fortification in the New World. 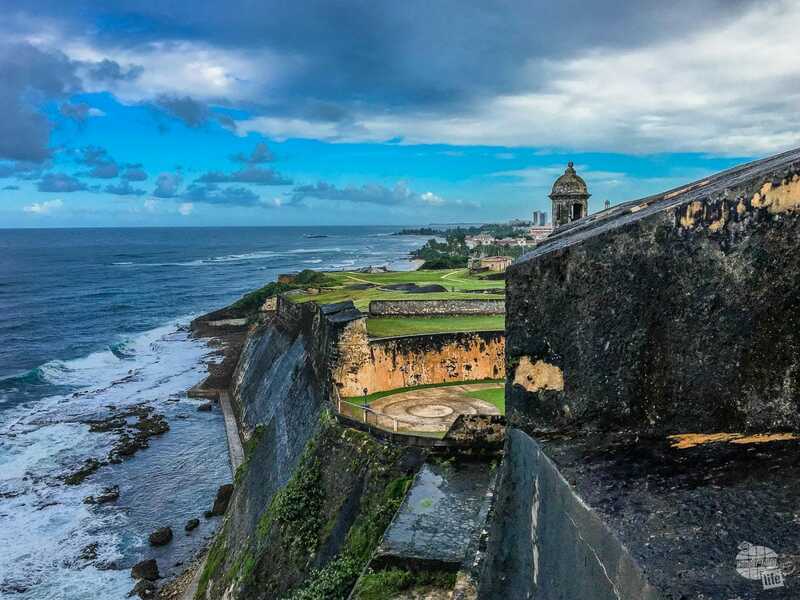 The fortification overlooks the north coast of San Juan and provides protection for Castillo San Felipe del Morro, another fortification and unit of the San Juan NHS. The Castillio San Cristobal provided impressive fortifications for Old San Juan when it was a Spanish Colony. We have visited a lot of forts since we started visiting National Parks sites. We have seen the evolution of fortifications from the Revolutionary War to World War II coastal artillery gun emplacements. While the castillo had a lot of similarities, it still had a very distinct, Spanish feel to it. We walked the battlements of the old fort. We walked out to the garitas, the distinctive sentry boxes along walls. The views of the city, both old and new, were great from the walls. We dodged rainstorms through the afternoon and took the a break in the weather to walk back to the hotel. The past week aboard the boat wore us out. We grabbed dinner at the hotel and went to sleep early. The short amount of time you get at each stop is not nearly enough. San Juan is no exception. There is so much more to see just in the city alone. We must go back to Puerto Rico. For more from our 2016 southern Caribbean cruise, be sure to read our overview, tips on staying healthy on a cruise, pros and cons of staying in an aft cabin, as well as our port reports from Saint Martin, Saint Kitts, Antigua, Saint Lucia and Barbados.